Are you ready to find answers to your Paver Cleaner problems? Perhaps you don’t know what to do about your pavement and you’re ready to figure out what needs to happen with this. If you’d like some quality stone sealing solutions that will make your grout lines and surfaces look much better, our team has answers for you. Trust in the professionals here at the TSS PRO Sealant so you can find quality sealants. We have a plentiful lineup of powerful products that will help you take great care of virtually any seal. Check us out and make sure you have answers to your questions. Concrete pavers are absolutely critical if you’re trying to make sure you have the quality concrete pavement you desire. Are you currently using a residential driveway that just doesn’t have the right resource? Maybe there are cracks and potholes that re covering your surface and you don’t know how to handle it. Perhaps you’ve even got some commercial driveways that are falling apart right before your very eyes. Are you having some troubles parking your car and you’re thinking about getting a contractor to fix things for you? You may be tempted to outsource this type of work and allow someone else to handle your cleaning. However, our team understands how nobody wants to deal with this. This was one of the motivating reasons we’ve began to improve our sealants and make them the true leaders of this industry. When you’re ready to make sure you have quality sealants that don’t let you down when it counts the most, use our TSS PRO Sealants. Far too many individuals make the mistake of overlooking your concrete. Are you trying to make sure you’re able to renovate your concrete and make sure you have access to what’s going on? Making sure you renovate your pavers is absolutely critical. Many people forget to renovate their concrete pavers tue to how tough it can seem. Are you unsure of where to even start with finishing and sealing your concrete? Perhaps you’ve got some limestone that’s causing issues and you want help with this. Whatever the case may be, you can count on our team. LIke every other thing ontis planet, concrete pavers are going to require some maintenance if you’re looking for quality benefits. You deserve to use the right Paver Cleaner resources that help you truly get the most out of your concrete pavement. When you’re sick of putting up with unsealed stones that let you down on a regular basis, take matters in your own. hand. Our natural sealants will help you do exactly that. You should definitely figure out how you can save money to your paver sealing services and products. Are you ready to figure out how you can make sure you stones stay in the right condition but you don’t want to spend too much money? While you may not have any type of concrete answers of your situation, we’ve got solutions that will help you save cash. Our competitively and aggressively set rates are perfect for those who are trying to have fun on a budget. If you want to make sure your stone sealings don’t cost you too much, our team can provide you with assistance. Pavers are very important, but we can do a lot more than just seal concrete. Are you trying to figure out how you can make sure you have the right quartz repair and sealings? Perhaps you’re unable to figure out how your residential quartz surfaces are going to be able to get fixed. When corrosion and erosion gets the best of you, you can count on us to provide you with assistance. Reach out to our team here at the TSS PRO Salants services so you can be able to succeed. With our products around, you won’t have to worry about not getting the best out of your stones. Flagstone restoration is another thing we can help you with. Are you dealing with some sandstone that is showing some major signs of wear and tear? If you’ve got some repairs that are taking place on a daily basis, it’s probably time to simply replace your unit. However, nobody wants to jumps straight to the most expensive solution. Would you be open to simply making an attempt at resealing your stones and restoring them in the right way? If so, our professionals can help. Nobody wants to have to deal with too many stone sealings. This can seem like you’re trying to repair the wrong thing over and over again, and it can be really tough. Concrete and other types of stones are going to need resealings at times, but never make the mistake of sealing something that’s permanently damaged. You should definitely be on the lookout for organic sealants that can help you power up and repair your surface. Whether it’s a pool deck or a patio, you should definitely find a product that makes your stones look better for the foreseeable future. This is where our natural and organic sleants can come in and change your stones for the better. Sealing is a lot more than just cleaning your stones and making them look new again. It’s a matter of investing in the materials that you have closest to you. Are you trying to figure out how you’re going to be able to find the right answers for your sealant needs? This happens to many of our clients and customers, and we continue to elevate our services to include more and more individuals. 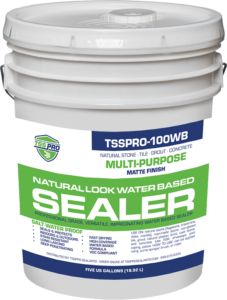 If you want the best sealant for your organic and natural sealing struggles, we have answers. The TSS PRO Sealant is invaluable. Take advantage of this if you’re trying to find solutions to your stone sealing needs. If you’re ready to figure out how to ensure you have the answers to your Paver Cleaner situations, it’s incredibly important to find relief with a professional company. 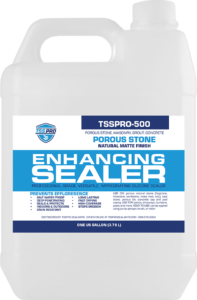 Why not ensure you have access to quality setups and situations that benefit you by calling in the pros here at TSS PRO Sealant? When you’re ready to find answers to your stone sealing needs, you can count on us to provide easy answers. Contact our team and check out our web store if you’d like to find quality sealants. We’re on your side.